Regulations change often. When they do, MCO has the information you need to stay compliant. Stay ahead of Compliance challenges with MCO. 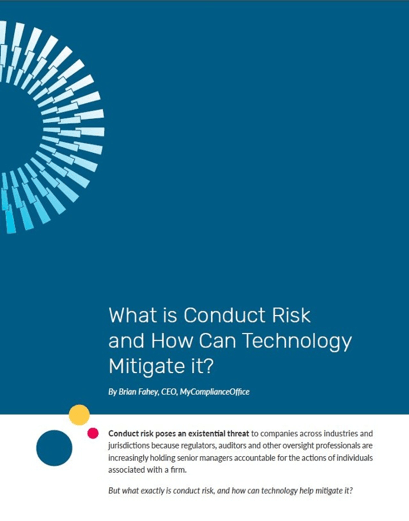 Read more about the latest compliance challenges and then see if MCO’s fully integrated Conduct Risk Solution Suite can help you better monitor, identify and remedy conflicts of interest and code of conduct issues. Ready to speak with an MCO expert?